Former Melrose and Scotland sevens captain Scott Wight has been confirmed as Selkirk’s new head coach for the 2019-20 season. 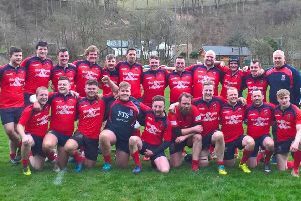 The 33-year-old will take over the coaching reins at Philiphaugh from head coach Graham Marshall who, along with backs coach Michael Jaffray, is stepping down at the end of the season for a well-earned break. 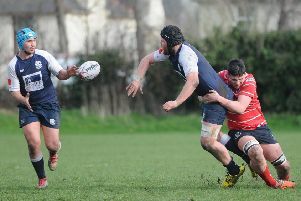 During his playing days with Melrose, Wight captained the Greenyards team to an impressive haul of Premier 1, Border League and Melrose Sevens titles, as well as turning out for Scotland’s Club XV. He then spent three seasons as a Glasgow Warriors player, going on to skipper Scotland’s sevens team in the World Rugby Sevens Series and at the Glasgow Commonwealth Games. In April 2017, he was appointed coach of the Scotland Women Sevens squad, and also has coaching experience with the Borders under-20 side and as skills coach with Scotland Sevens squad. “I’m delighted to have been offered the Selkirk position,” he said. Scott will be assisted by Jason Hendrie, head coach of the Selkirk ‘A’ team for the past four seasons. A forwards coach for the 1st XV will be appointed in due course. Selkirk Rugby Club has extended its thanks to Graham Marshall and Michael Jaffray for all their hard work and dedication over the past three seasons, and also to Jordan McGowan, who is stepping down from his coaching post with the Selkirk ‘A’ XV. Former Selkirk skipper Darren Hoggan – and current player, David Cassidy, will take over the Selkirk ‘A’ coaching duties next season.